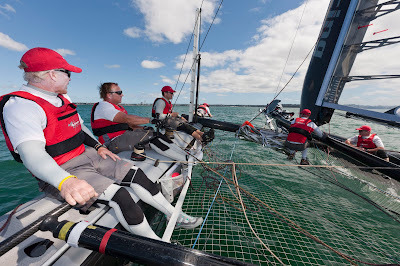 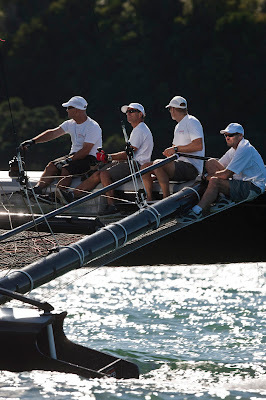 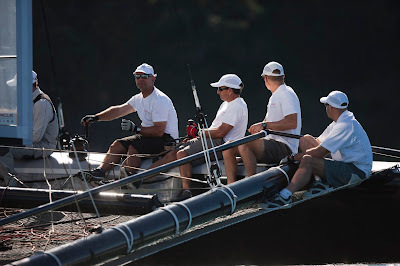 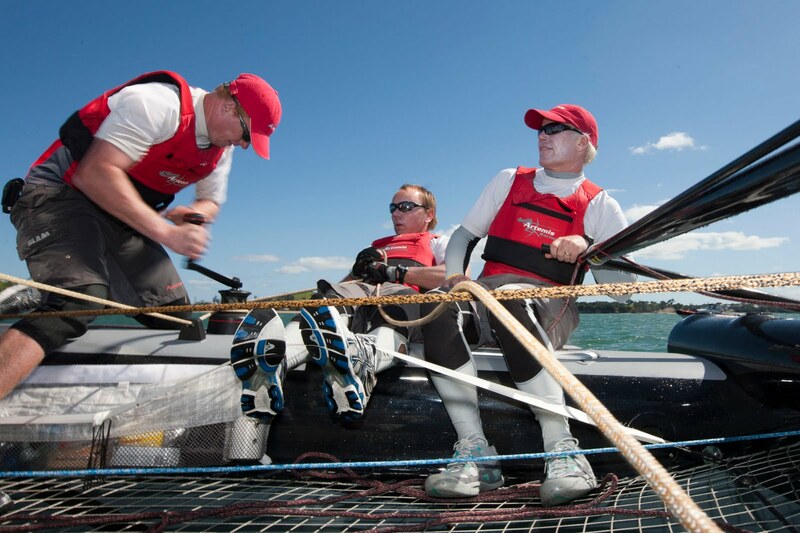 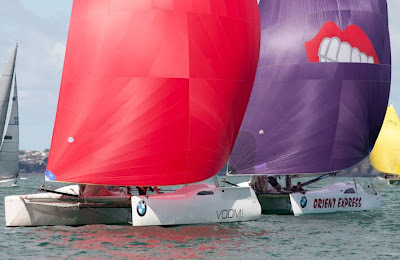 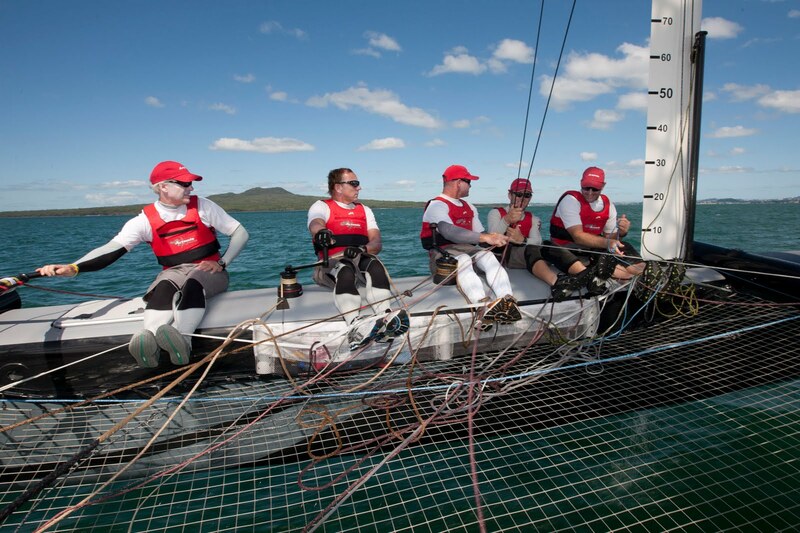 Image copyright Ivor Wilkins/BMW Auckland Regatta. From unlikely beginnings, the BMW Auckland Regatta produced a champagne day of sailing today – finishing up with a spectacular full moon BBQ on Motuihe Island. The day began with the racing fleet totally becalmed on glassy seas. 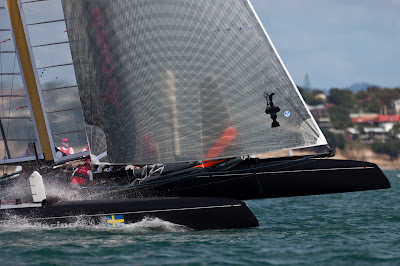 But, slowly a southerly breeze filled in and some superb racing got under way. 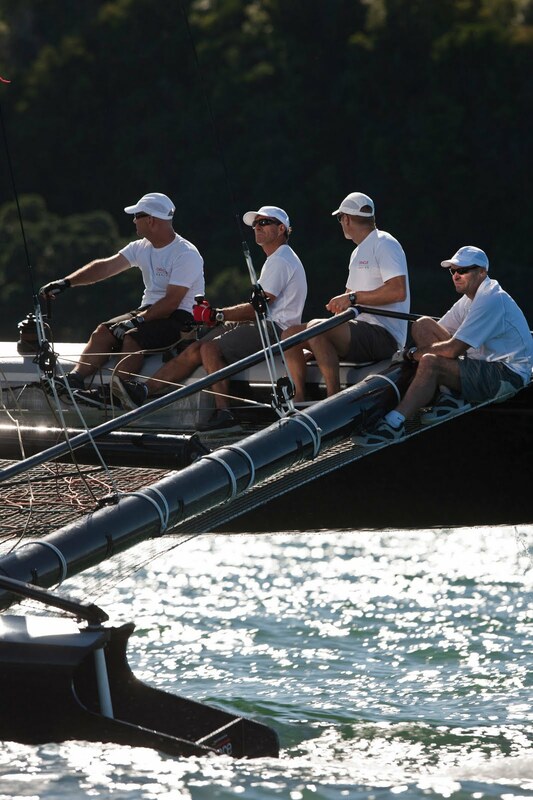 The BMW Auckland Regatta is jointly run by the Royal New Zealand Yacht Squadron and Bucklands Beach Yacht Club. Sixty one yachts in seven divisions are competing in the regatta, which continues tomorrow and finishes on Sunday. 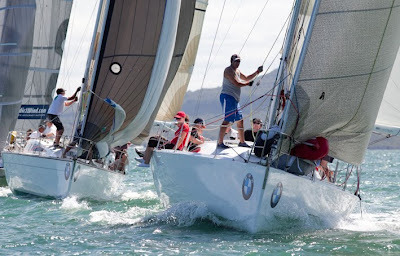 Racing this weekend will take place off Northern Leading and Eastern Beach and will comprise a mix of windward-leeward courses and harbour courses. KPMG • AUCKLAND COUNCIL • ROYAL NEW ZEALAND YACHT SQUADRON • BUCKLANDS BEACH YACHT CLUB • MUSTO • STEINLAGER • OKI • PLC INSURANCE • MOUNT GAY RUM • YACHTING NEW ZEALAND. 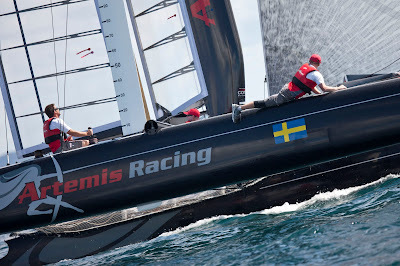 GENERALI (Nicolas Lunven) won for the second year in a row. 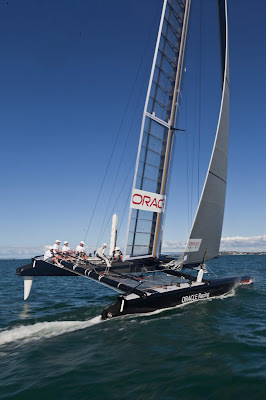 Image copyright Bernard Gergaud. Les écarts très serrés entre les 4 premiers montrent à quel point la Solo Figaro Massif Marine demeure une course de qualité et une belle entrée en matière pour préparer La Solitaire du Figaro 2011. Nicolas Lunven (GENERALI) s’est imposé encore une fois avec brio devant Francisco Lobato (ROFF) même si l’écart n’est que d’1mn et 10 sec, de 2mn avec Anthony Marchand (Espoir Région Bretagne) et de moins de 4mn avec Fabien Delahaye (Port de Caen – Ouistreham). 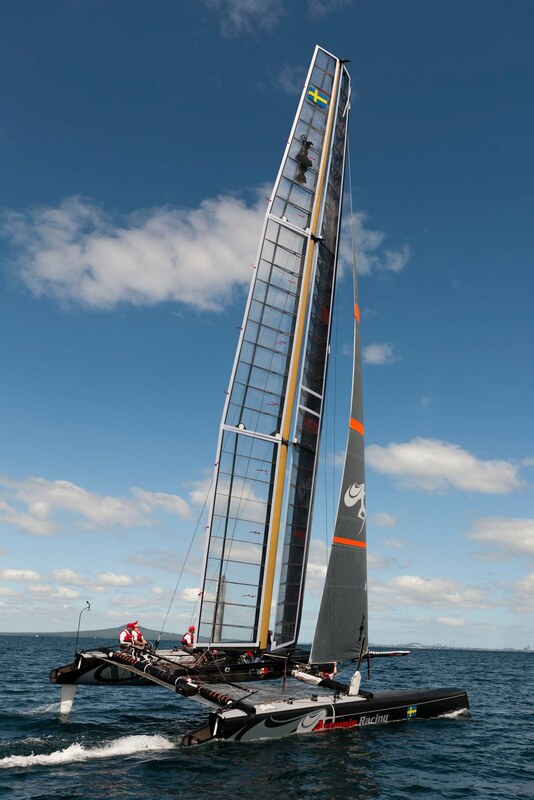 Après avoir brillé en Mini (1er de la Transat 6.50 en 2009) et en Class40 (1er de la Route du Rhum 2010), Thomas Ruyant (Destination Dunkerque) fait des étincelles cette fois ci en Figaro Bénéteau 2. 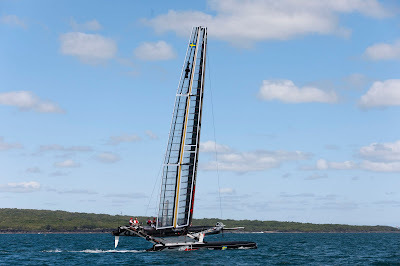 Un titre qui compte dans une carrière de jeune Figariste. 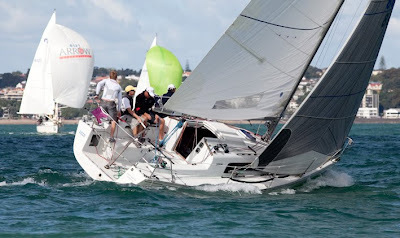 ROFF (Francisco Lobato) finished second. Image copyright Bernard Gergaud. La remise des prix aura lieu samedi 19 mars à 19h au Club House de Port Olona. 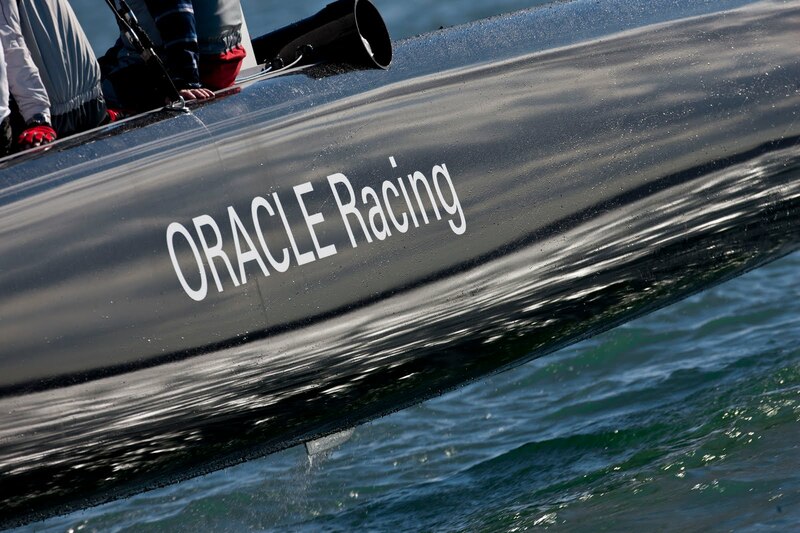 Quatorze Minis 6.50 attendus samedi 19 mars. 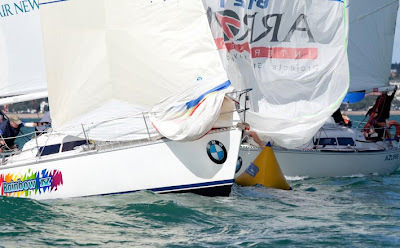 Alors que les Figaristes sont arrivés à Port Olona samedi matin, 14 minis 6.50 inscrits à la Solo/Duo Mini 6.50 Les Sables quitteront à leur tour le port à 8h pour un parcours de 45 milles qui consistera à aller virer la bouée des Câbles puis retour aux Sables d’Olonne. 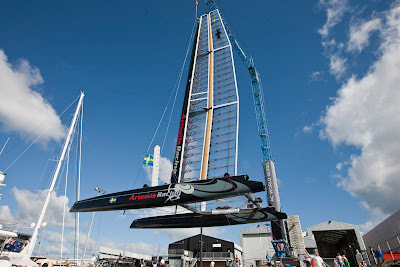 http://www.sportsnautiquessablais.com, onglet figaro solo les sables. 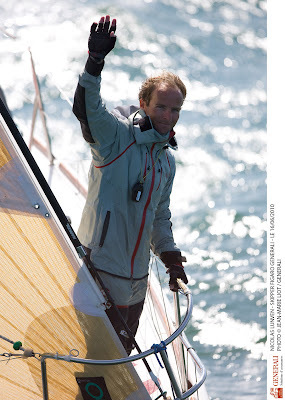 Nicolas Lunven wins the Solo Figaro Massif Marine for the second successive year. 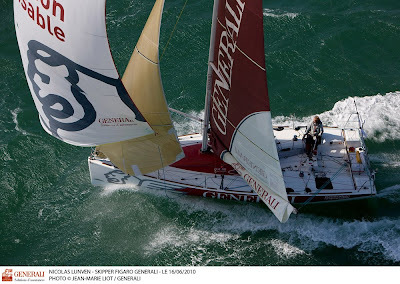 Image copyright JMLiot/Generali. Pour la deuxième année consécutive, Nicolas Lunven, skipper du voilier Generali, remporte la Solo Figaro Massif Marine. 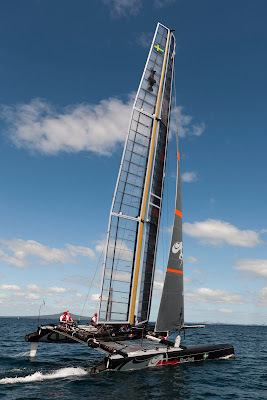 Il est arrivé ce matin à 7h04 devant Fransisco Lobato et Anthony Marchand (25 concurrents). 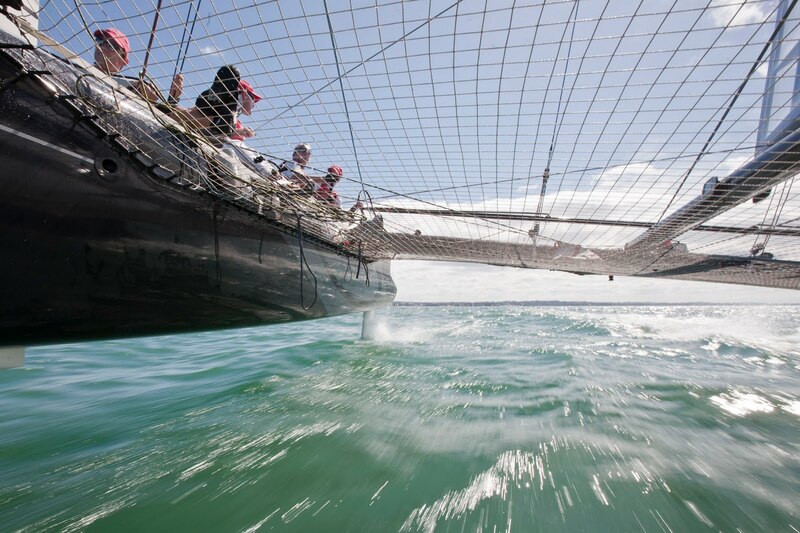 Parti jeudi à 12h00 des Sables d’Olonne pour une boucle via notamment Belle-Ile-en-Mer, le navigateur morbihannais est resté tout au long de la course dans le paquet de tête. 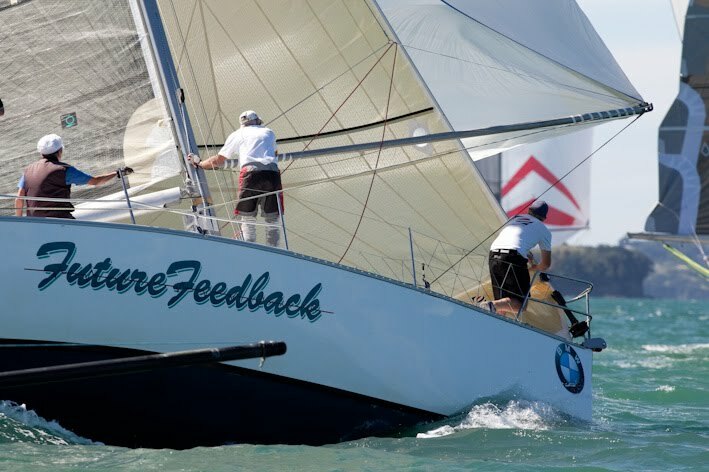 La saison 2011 démarre bien. Prochain objectif : la transat Bénodet – La Martinique dont le départ sera donné le 10 avril. 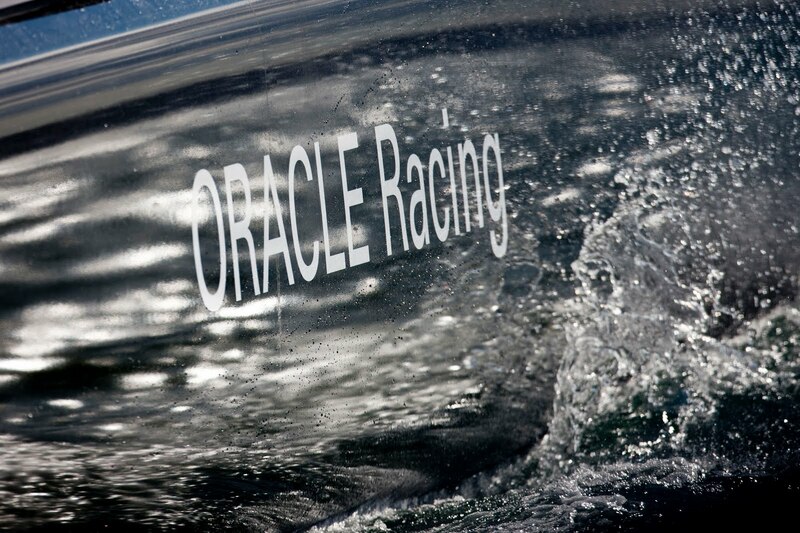 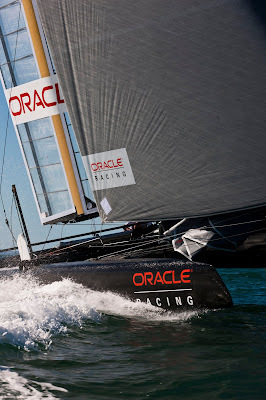 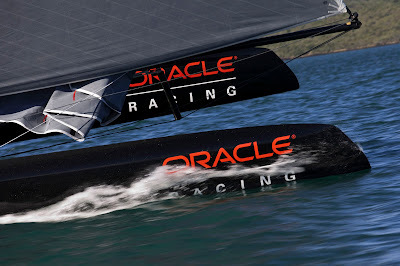 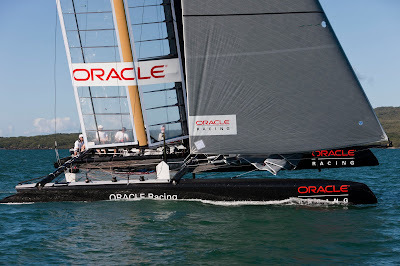 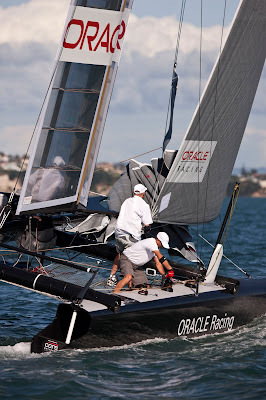 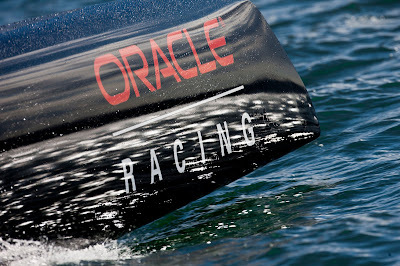 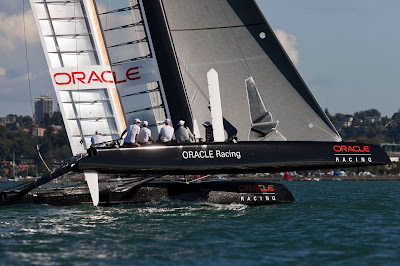 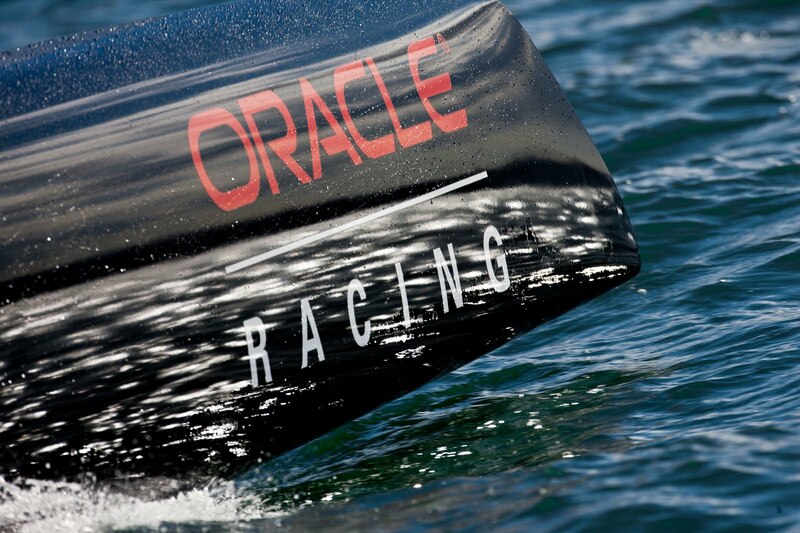 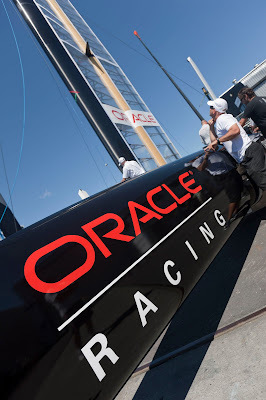 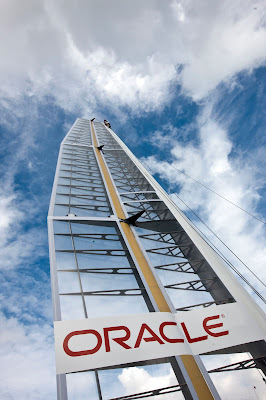 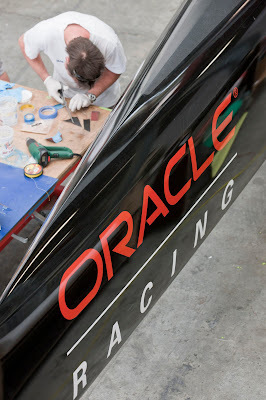 Image copyright Gilles Martin-Raget/ORACLE Racing. « En Suisse, on a coutume de dire que pour gagner le bol d'or (un vire-vire local très prisé des autochtones), il faut du bol. Et bien ici, entre les deux hémisphères, au lieu-dit Pot au noir, il faut du pot. 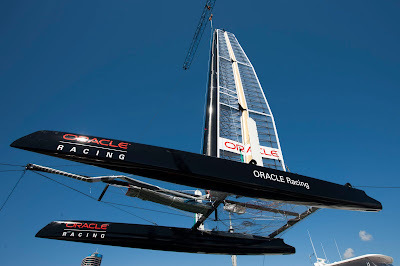 Un minimum en tout cas pour le franchir sans trop de douleur. Il ne sera pas faut de dire qu'au pot, nous en manquâmes.Que ne se fusse t'il appelé pot aux roses !!! Par brassées entières nous en aurions offert à toutes les sirènes du canton. 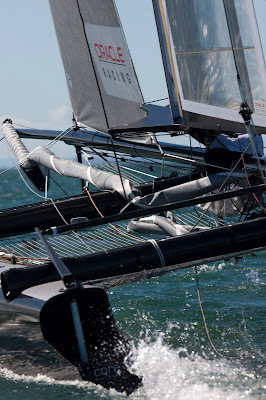 Note from SailRaceWin: Le « Bol » du Bol d'Or est le bassin du lac. General (Nicolas Lunven): winner of the Solo Figaro Massif Marine 2011. Image copyright Jean-Marie Liot/Generali. 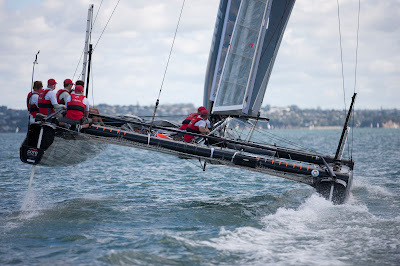 Finish in gusty conditions at breakfast time on Saturday (French time). 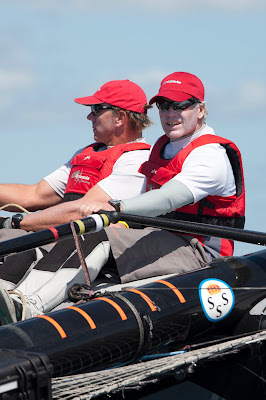 Acknowledgements: Le Restaurant Quai Ouest, la Cité de la Voile-Eric Tabarly, Cap L’Orient et Le Télégramme. 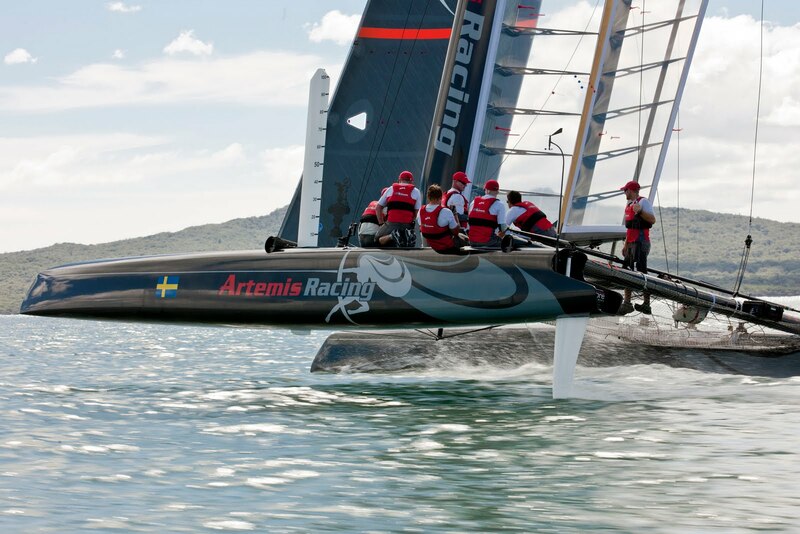 Artemis Racing's AC45. Image copyright Gilles Martin-Raget. Saturday's christening of the Artemis Racing AC45 marked an important milestone in the Swedish team's Challenge for the 34th America's Cup. 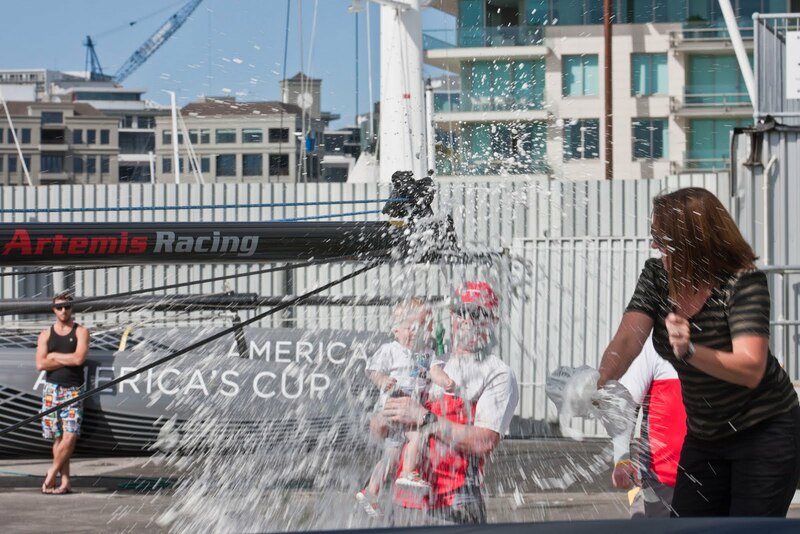 The team, together with friends and family, gathered in the Viaduct to officially launch the team’s AC45. 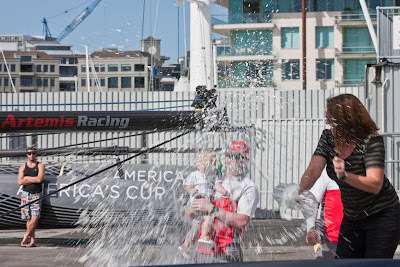 Helmsman Terry Hutchinson welcomed everyone and applauded the full team effort to get the Artemis Racing AC45 on the water before Kylie Jameson (NZL) christened the catamaran. Kylie Jameson (nee Hogg), wife of Phil, sail maker, and former New Zealand Olympic sailor (Yngling, Athens 2004), launches Artemis Racing's AC45. 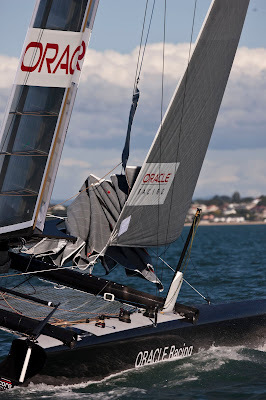 Image copyright Gilles Martin-Raget. 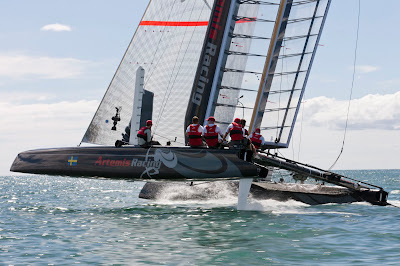 Hutchinson and the crew left the dock immediately to begin Artemis Racing’s first two-week trial of the wing sailed AC45. 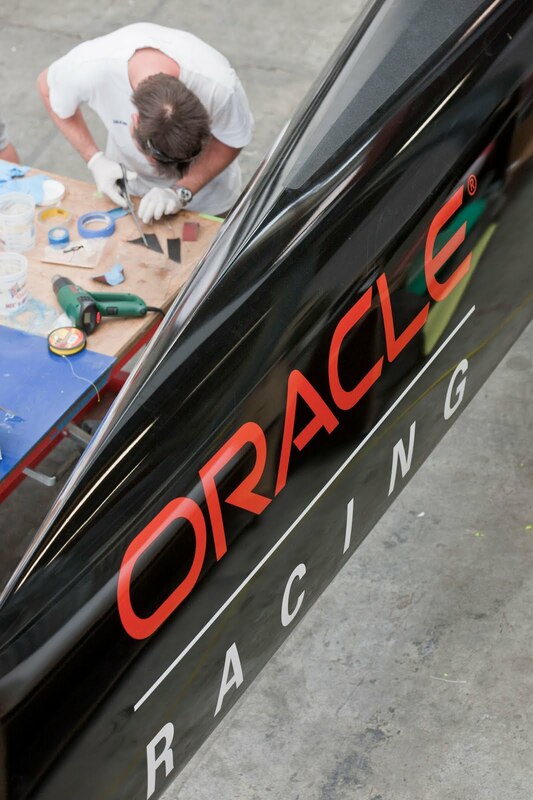 Meanwhile back in Valencia, the design team is hard at work under the direction of Principal Designer Juan Kouyoumdjian. Terry Hutchinson at the helm of Artemis Racing's AC45. 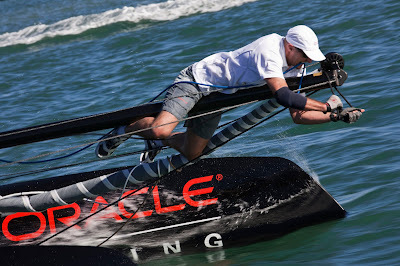 Image copyright Gilles Martin-Raget. “It’s been all hands on deck for the last couple of weeks in order to get the AC45 ready to sail today. Now it’s time to go sailing. 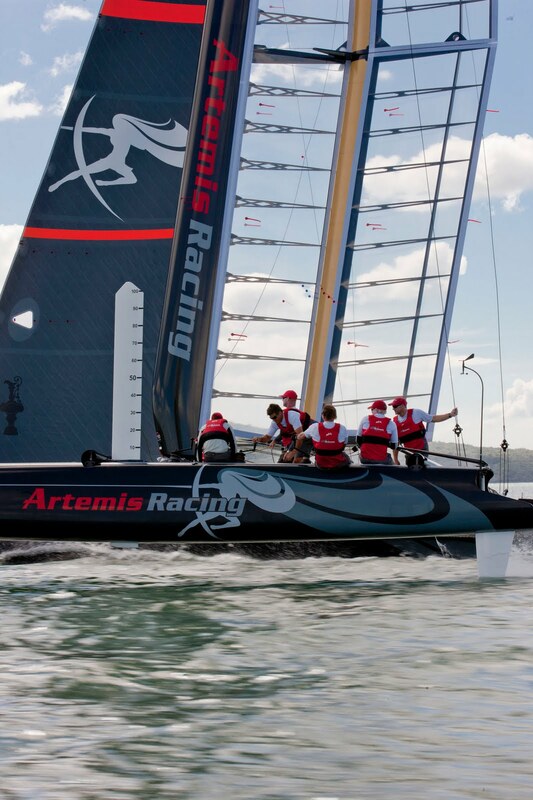 We have an experienced crew in Auckland for this test session and are looking forward to gaining proficiency in sailing this new class of boat," said Paul Cayard, CEO of Artemis Racing. 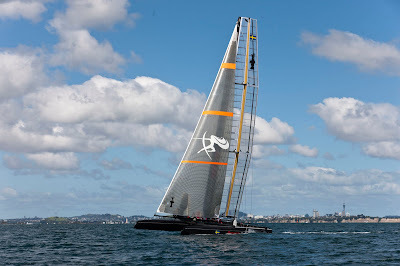 Artemis Racing will be evaluating and analysing all aspects of the AC45’s performance over the course of the next two weeks. 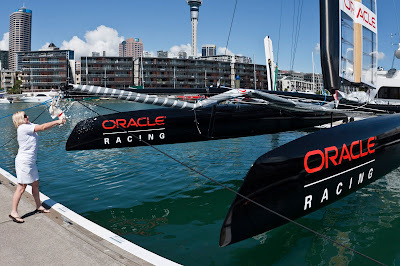 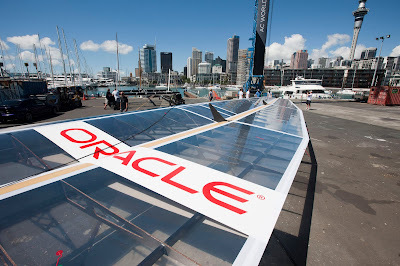 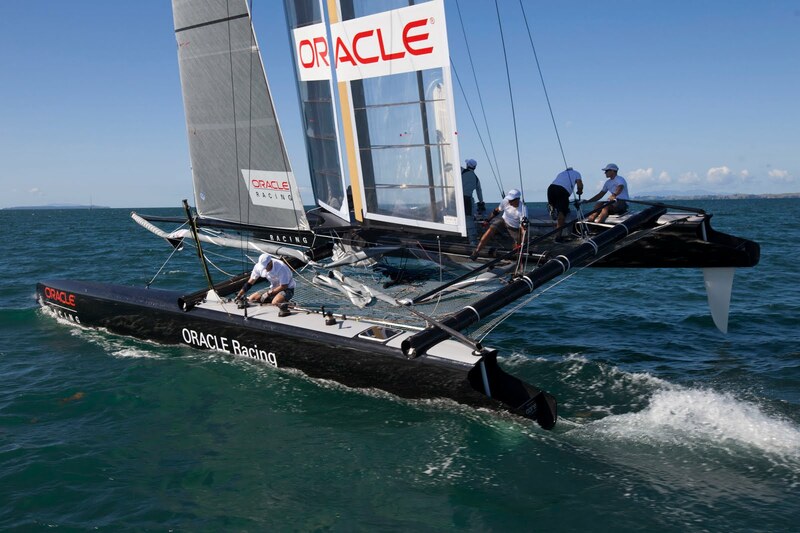 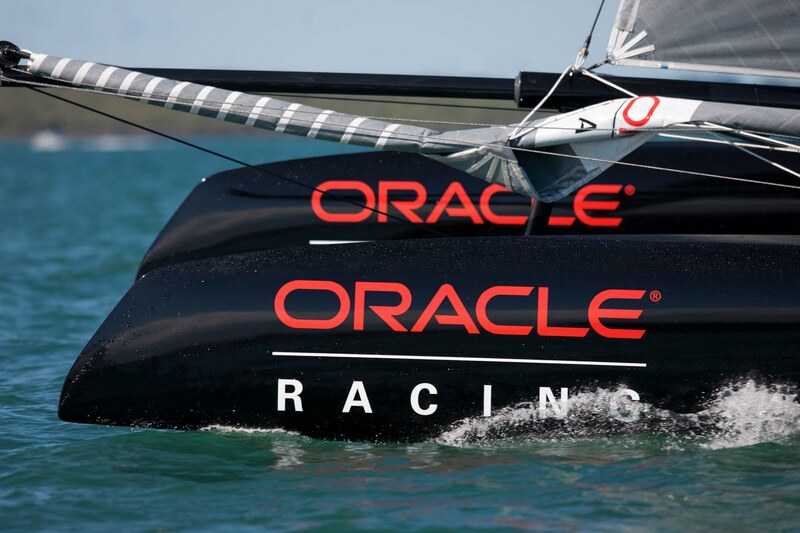 Also out on the water will be fellow America’s Cup Challenger Emirates Team New Zealand and the Defender, ORACLE Racing who have also taken delivery of their AC45s. 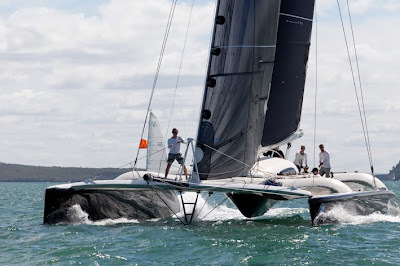 Built by Core Builders in Warkworth (NZ), the AC45 is the pre-cursor to the AC72 catamarans, which will be raced for the Louis Vuitton Cup and the America’s Cup in San Francisco in 2013. 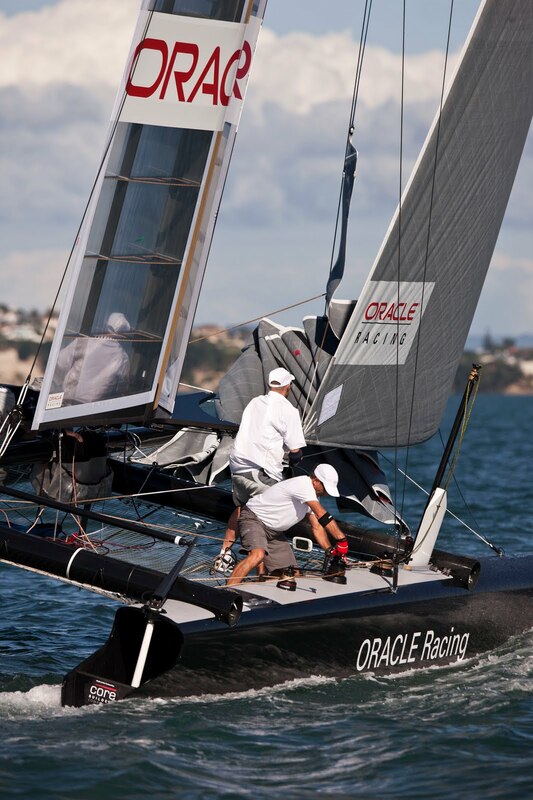 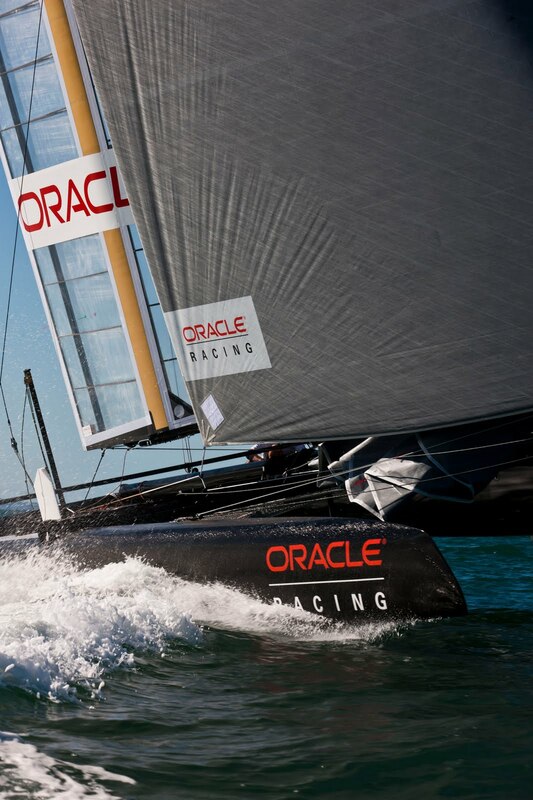 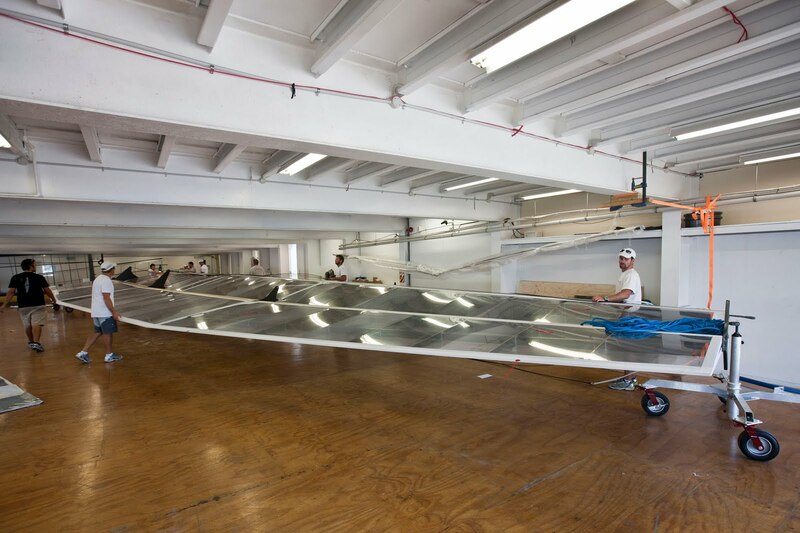 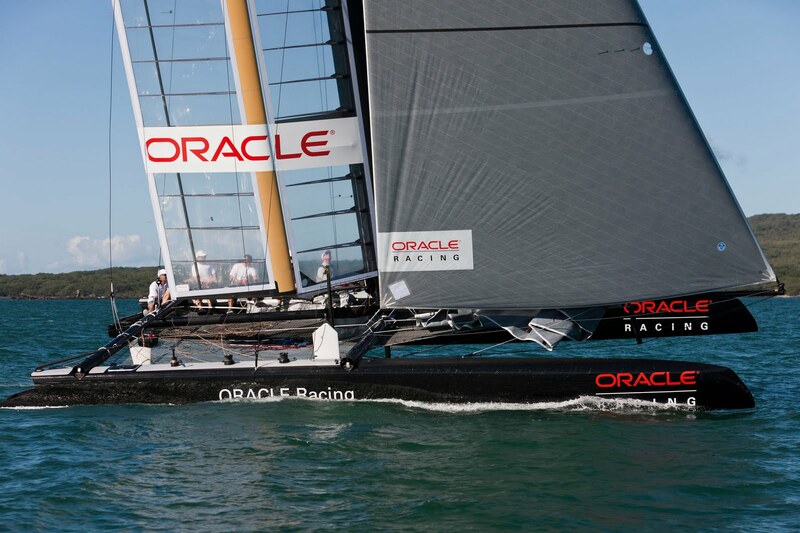 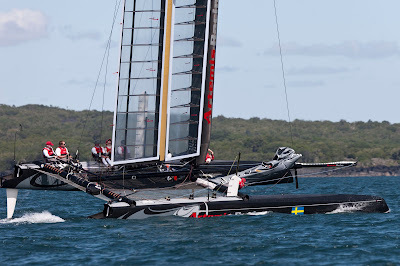 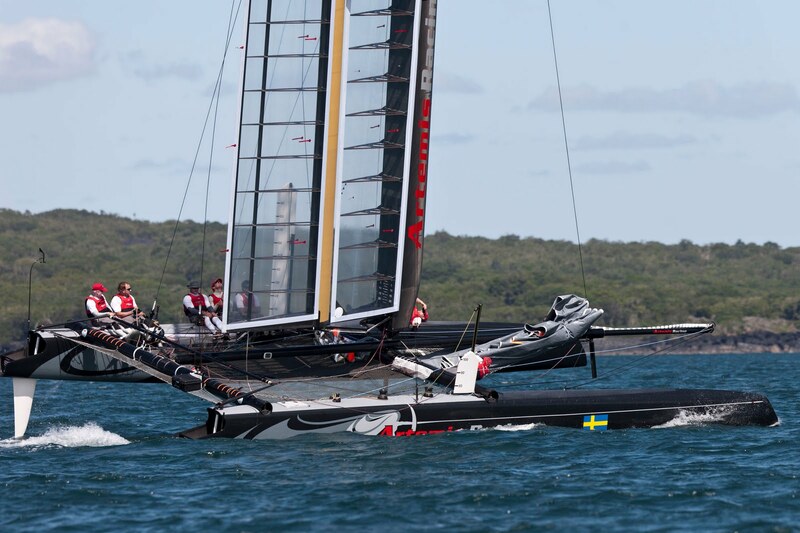 The teams will compete in eight America’s Cup World Series regattas with the AC45 between July 2011 and May 2012. The next regattafor Artemis Racing is the Extreme Sailing Series Regatta in Qingdao, China from 15-17 April. 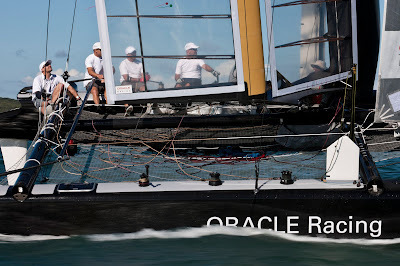 Sodeb'O: Madame Irma, êtes-vous là ? 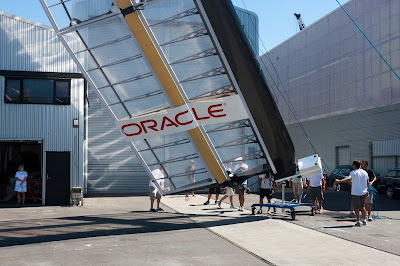 BWR: When the computer is no longer your friend? 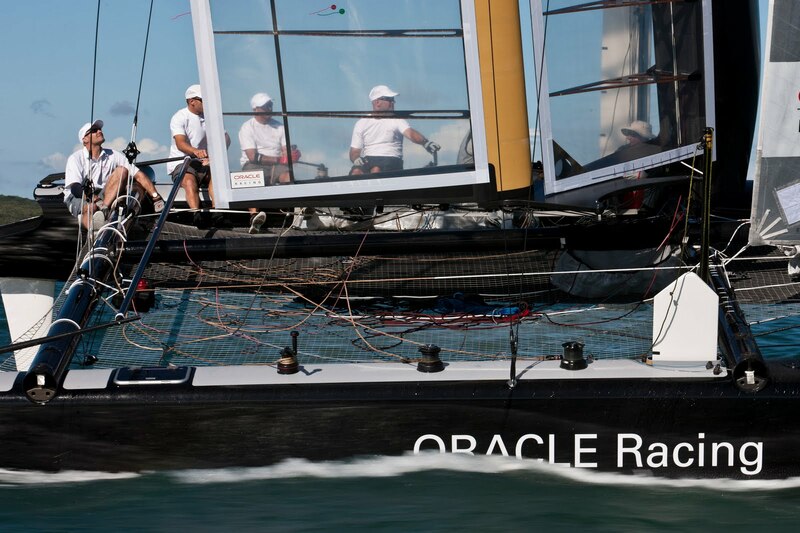 BWR: Mot du Bord "Speed Test Avec Une Baleine"
BWR: Strategic challenges on the Ides of March?